For those who are use to dealing with contractors and companies. You may already be familiar with CHAS and what the scheme entails. Especially in terms of Construction work. More on what CHAS is later. 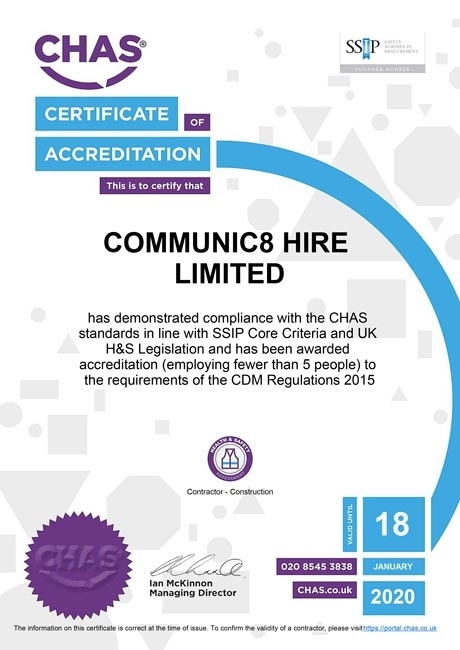 Our new accreditation has been awarded showing our compliance to the CHAS standards in line with the SSIP core criteria. This is also inline with UK Health and Safety Legislation. 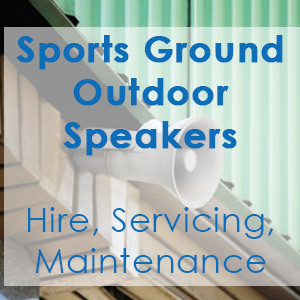 Audio Visual work is increasingly being brought into line under construction regulations and safety at work. The main reason for this is because many setups are temporary structures and many hires involve the building of lighting towers (using truss) and flying speaker line array stacks. There are many industry practices for AV work, many of these can be found at InfoComm (AVIXA). By us managing to achieve the CHAS mark, which is a nationally recognised scheme in the UK. 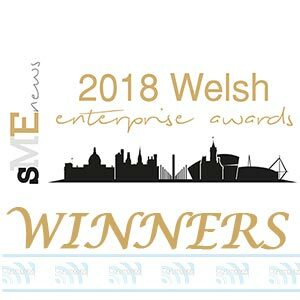 It shows our commitment to work and also customer satisfaction and a safer working practice all round. The Contractors Health and Safety Assessment Scheme, or in short. CHAS. Was setup in 1997 by Health and Safety professionals to improve the overall H&S standards nationally. As one of the founding parties behind 3rd party accreditations. CHAS are a trusted advisor on all matters relating to Health and Safety and compliance. CHAS also set a range of industry benchmarks and provide services to achieve a safer workplace. 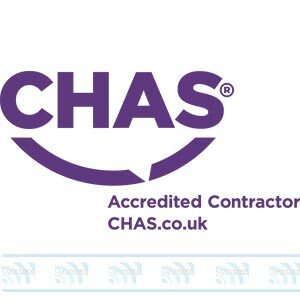 It’s extremely common to see the CHAS mark across the construction industry. Builders, Roofers, Carpenters and so on. The scheme is open to a vast range of businesses and organisations however. Manual handling and much more. We also have IOSH Managing Safetly qualified staff.